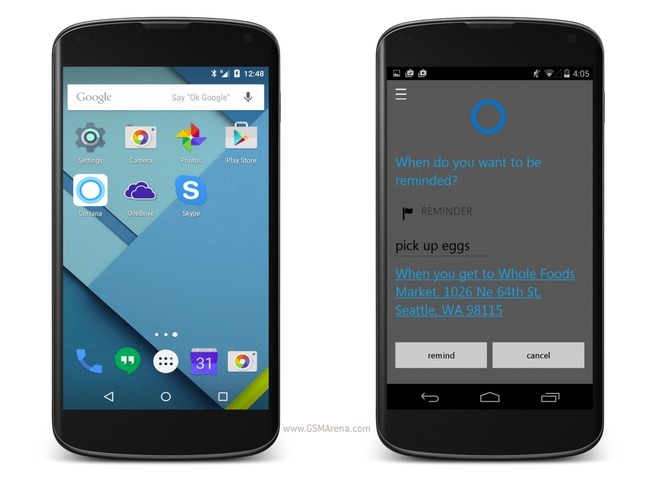 According to Microsoft itself, we should expect to see a beta version of Cortana for Android hit the streets in July. No information has been shared about the iOS release at this time. Cortana “only knows what you want her to know and you are fully in control of how you use her across devices”, the company says. Cortana’s Notebook will be available across all platforms helping her keep track of what’s important to you. It will intelligently use whichever platform you’re currently on to remind you of stuff. So, for example, if you set a reminder for 8 pm using your Android phone, but at that time are watching a movie on your Xbox, Cortana will interrupt playback to notify you. You’ll also be able to ask her questions on Android just like you can on other platforms, using the same natural language – and she should understand you. Obviously though, certain features will be missing on Android, because Microsoft doesn’t have access to low-level OS stuff.